How much does it cost to travel to Agra? How much money will you need in Agra? 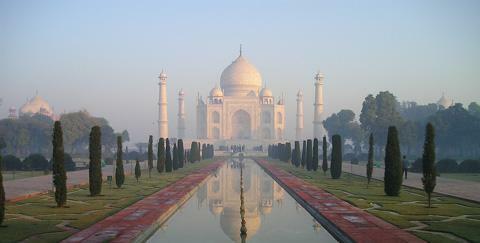 ₨1,994 ($29) is the average daily price for traveling in Agra. The average price of food for one day is ₨728 ($10). The average price of a hotel for a couple is ₨1,258 ($18). Additional pricing is in the table below. These average travel prices have been collected from other travelers to help you plan your own travel budget. How much money do I need for Agra? In the north of India, in the state of Uttar Pradesh is the city of Agra. This land is home to great tales of emperors and majestic temples. It is the home to a magnificent past and the greatest symbol of love known to man, the Taj Mahal. While this incredible structure is the main draw to this area, there is much more to see. Once the capital of the Mughal Empire, Agra can claim three different UNESCO World Heritage sites - the Taj Mahal, the Agra Fort and the abandoned city of Fatehpur Sikiri. There are guides waiting to offer you a tour at every site in Agra. Be cautious, they may not be official guides and are likely to overcharge you. It is probably best to avoid these guides and set up your own ahead of time. For an official guide in any language, go through the approved guides office in Agra. It's likely that the ultimate reason for your visit is to visit the magnificent Taj Mahal. When Emperor Shah Jahan lost his favorite wife he wanted to create a monument to her - a monument displaying his love for her. Built of white marble between 1631 and 1648, today it is one of the most well preserved and beautiful tombs in the world. Photos do not do this celebration of woman enough justice. You must see it with your own eyes. When you do visit, note that the grounds are open from 6:00 am to sunset except on Fridays and during the Ramadan months. Be sure to get there early to beat the crowds - crowds that are larger on the weekends. No matter the time of day, however, prepare yourself to be surrounded by people. Try to carry some sort of light with you as the inside is rather dark, but beautifully decorated with gems. You won't want to miss that. Night viewing sessions are available when the moon is full. Also, remember to bring your bug spray. Once you have properly seen the natural wonder of the Taj Mahal, make your way to the Agra Fort. Constructed by Emperor Akbar between 1565 to 1571, this fort stood to protect the city and assert the Emperor's power. Later Emperor Shah Jahan added to it, which is ironic as he was later imprisoned there - with a fantastic view of his Taj Mahal. For a bit more of the natural beauty of Agra, visit the botanical gardens of Mehtab Bagh. You can walk along the gorgeous, native plants and still get a great view of the Taj Mahal. Head to the beaches for the best and most unique view - including a view with the reflecting river. For another unique mausoleum, go and see the Sikandra. This is the Tomb of Akbar, and it has his touch all over it. At the center of a large garden four red sandstone gates lead to the tomb. One gate is muslim, one is Hindu, one is Christian and one is Akbar's own mixture of faiths. Not far away is Fatehpur Sikri, the "City of Victory," known as a historic capital of the Mughal Empire. It is worth visiting if you're in the area. Other than the main sights of the Taj Mahal and the Agra fort, many visitors choose to see the town on a rickshaw tour. This can give you a close up glimpse of Indian culture outside of some of the much larger cities. Food tours are also available. The Taj Mahotsav festival is held every year in February or March, and celebrates local arts, crafts, culture, music, food, and more. This area is always so full of tourists, there are a variety of food options to choose from. To dine on the local cuisine, be sure to try the chaat. But keep in mind, this is a land of sweets. Get your hands on the very sweet candy known as petha - they make great souvenirs. Also, it wouldn't be India without a bit of spice. The Dal Moth is a spicy lentil mix that you have to try while in Agra. There are no cars allowed at the Taj Mahal, but there are plenty of options for transportation there. The Tongas seem to be the best choice. They are electric buses that many tourists use to get to the Taj Mahal. Rickshaws are also available everywhere, but be sure to haggle. They will definitely try to overcharge you, but you can talk them into a fair price. If you decide to get a taxi, be aware that they will try to stop at stores along your route. These stores pay them a commission for bringing in customers. They are usually overpriced and not worth your stop. Your drivers will likely push this on you so be sure to continue to tell them a firm, "No, thank you."